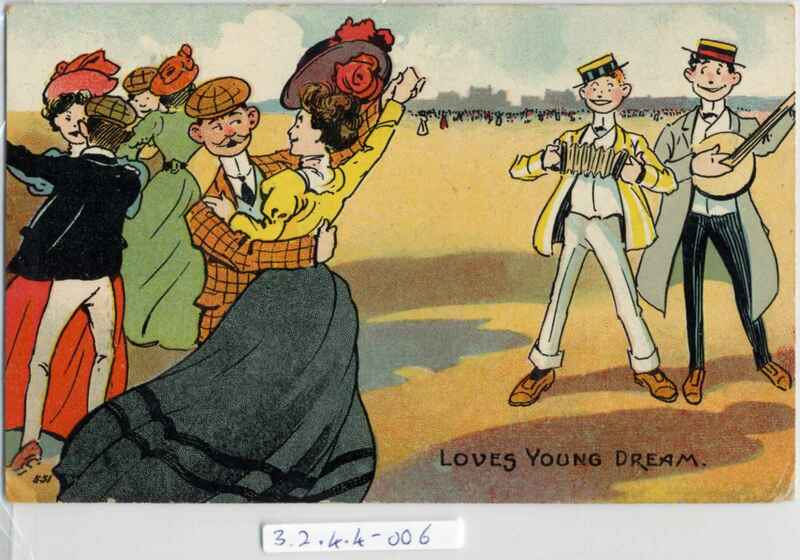 Full Description: A humorous postcard of a duo of musicians (concertina and banjo) playing for three couples dancing on the beach. Message is "Loves young dream". Divided rear, postally used, franked Netherton, Huddersfield , 23rd Sep 1907, Card by Millar and Lang Ltd, Glasgow and London.